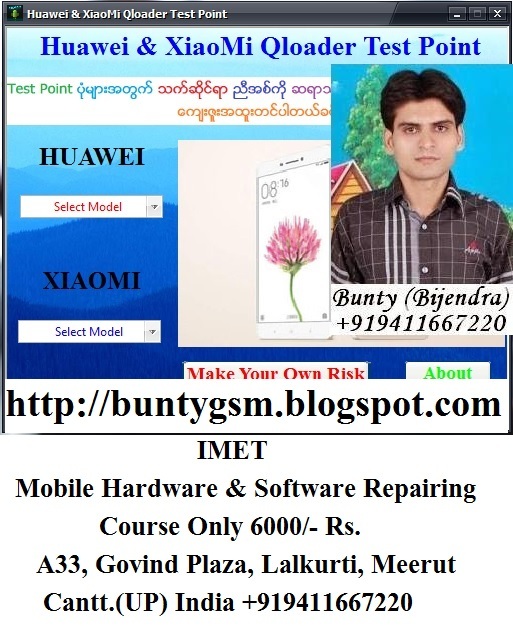 Huawei and Xiaomi Qloader Test Point Tool is a small application for Windows Computer which allows you to find the Test Point on Huawei Smartphone and Tablets. It also allows you to find the Test Point on Xiaomi Smartphone and Tablets. Simply, Select the Brand Huawei or Xiaomi and then select the Model number and you will be able to see the Test Point of the respective device on your Computer Screen.